"And they will make a new world, freed from old age and death, from decomposition and corruption, eternally living, eternally growing, possessing power at will, when the dead will rise again, when immortality will come to the living, and when the world will renew itself as desired." (Yasht 19:11, trans. Henry Corbin, Spiritual Body and Celestial Earth, 13-14). 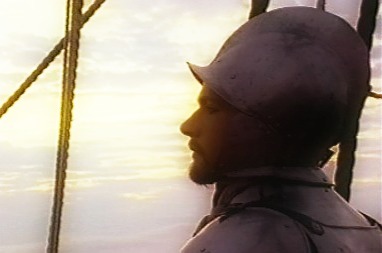 The Knights of the Holy Grail teaches the alchemical transformation of the human body; its cleanness, health and purity, within which may be found the fabled Fountain of Youth. While it is true that external substances and forces may be brought to bear upon this transformation, the human body, given the correct raw materials for transformation, has the ability to synthesize any material or substance needed for good health and physical longevity. The aim of the Grail Seeker, whether young or old, is to increase the span of life so as to obtain the many years necessary to the Great Work (Magnum Opus) of attaining illumination and spiritual immortality. The human body can only use what it is able to circulate to the parts where it is most needed, whether nutrients or life force energies. In the Knights of the Holy Grail, we teach many physical forms of "moving meditation" to facilitate the flow of energy and circulation, including tai chi, chi gong and other, more esoteric arts. The Brotherhood highly recommends the video teaching of Patrick Martin as the most approachable introductory instruction to these practices available anywhere. No matter what your age or level of experience, you will find these practices to be easily learned, pleasurable to practice and providing almost immediate benefits. "Beginning Tai Chi with Patrick Martin" is available free on the DISH Satellite Network on The Universityhouse Channel (channel 9411). Click here for schedule times or to order the DVD series. Patrick also has a website offering more advanced lessons. Please try it - you will be happier, more healthy and peaceful.